These are pictures from Jason Calacanis presentation at Gnomedex 7 Friday Day 1 of the conference. I’m not finding any pictures of the Mahalo announcement. At Gnomedex Chris Pirillo started setting time aside for attendees to announce their personal or professional projects. When Jason Calacanis & I think one other person took their turn to promote Mahalo – Dave Winer and a few others weren’t to happy. 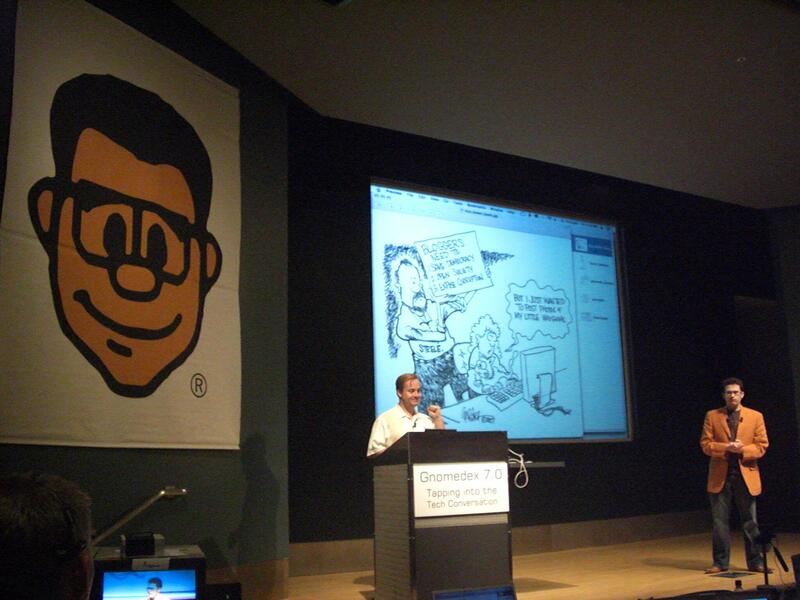 Gnomedex has always been a commercial conference – meaning large companies and well known Internet personalities have always been involved. But in 2007 I started to agree with others that things were a bit different than before. I honestly didn’t feel as passionate about this as others. 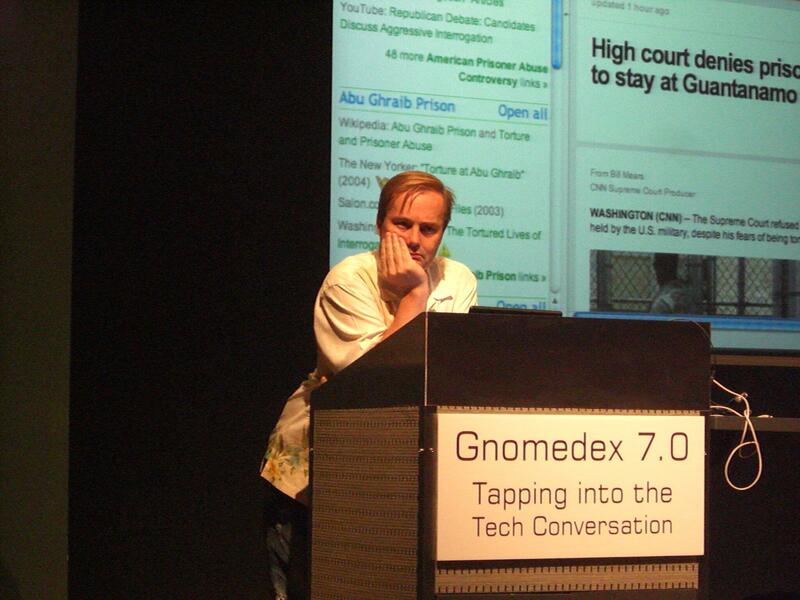 In later years my love of Gnomedex would start to dwindle. This had nothing to do with things being to “commercial”. 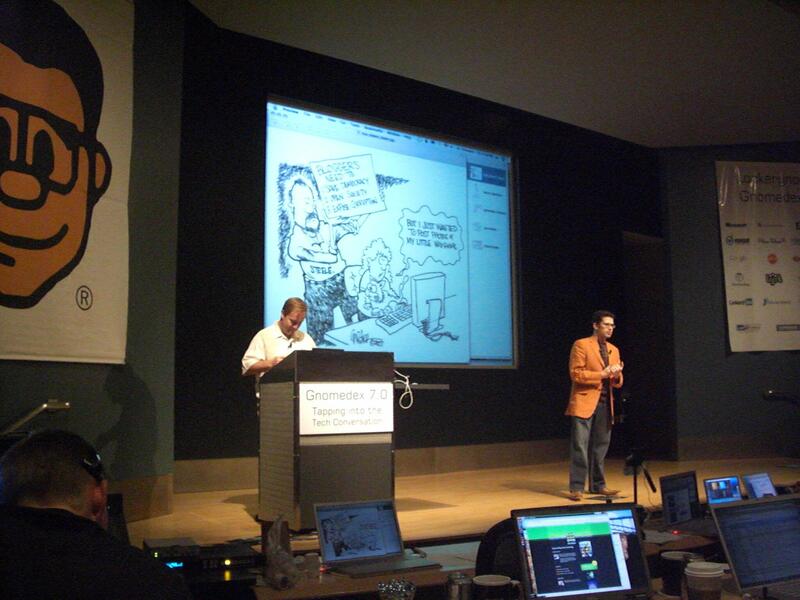 Gnomedex 7.0 Day 1 – Jason Calacanis Flickr – Photo Sharing! Dave Winer and Jason Calacanis at Gnomedex. Again. Chris Sloop from WeatherBug was the host of that dinner. Thanks once again for a wonderful evening.